Come May 10TH 2015, all roads in the Nation’s commercial capital will lead to only one destination –Eko Hotels and Suites for the reunion concert of one of the greatest musical dynasty in modern music history-Coded tunes. The legendry musical family that birthed and nurtured the careers of great talent like Lord of Ajasa, Jah Bless, 2phat,spaco, 9ice, Olamide, Reminise and led by prolific music producer Id Cabasa has been torn apart for years, as strictly influence by the desire of all involved to grow individually and expand the group. Today boys have become men and have decided to return for the love of their fans that they have starved of the brand of music they churn out collectively. 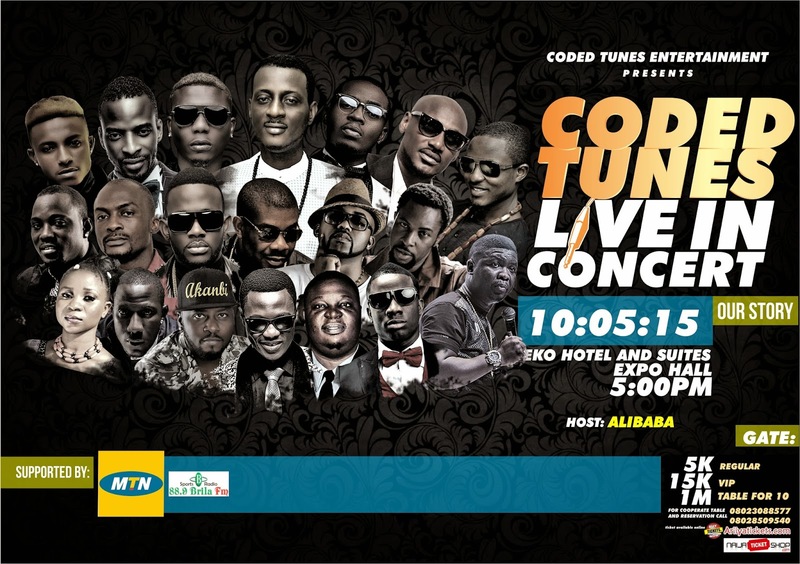 The concert which has as its theme “coded tunes reunion concert… our story” will feature others talents like, Mavin Crew, 2face, Banky.W, Ruggedman, Pasuma amongst others. Speaking on the concert, Id Cabasa explained the reason behind the reunion.